Stay healthy during allergy season with these tips to reduce your symptoms! Pollen, dust, and mold are back! It’s time for allergy season. Ensure that your seasonal allergies are kept at bay. 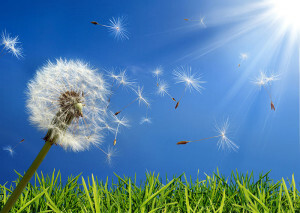 Check out how you can reduce your seasonal allergies with these tips. Invest in an Air Filter. Allergens like dust, mold spores, pollen, and pet dander can all aggravate your allergies. Be sure to filter your air so that you can breathe easy. A powerful filter should significantly reduce the allergy triggers in your home. Look for a high-efficiency particulate air (HEPA) filter for the most filtered air. Humidity can make your allergies worse. Keep them in check by dehumidifying your air. Invest in a dehumidifier and be sure to keep your humidity levels under 60 percent. Don’t track pollen into your home. When you come home for the day, be sure to leave your shoes at the door. Throughout the day, pollen accumulates on your clothes, skin, and hair. Taking your shoes off when you come home helps to reduce how much pollen you bring in. Additionally, try changing your clothes when you get home to reduce home pollen levels. As pollen sticks to you throughout the day, it’s important to wash it off before you get into bed. Be sure to take a shower so that your pillow and face are pollen-free. Check The Daily Pollen Count. Reducing your exposure to pollen can help reduce your symptoms. Before you set out for the day. Ensure that you check the pollen count so that you can prepare for the day. On days with a higher pollen count, be sure to reduce your time outdoors. Put your health first and be sure to reduce your allergy symptoms. Contact the professionals at Robert J. Los Insurance Agency to find you the right insurance. Located in Hamburg, New York, we serve all your personal and commercial insurance needs.